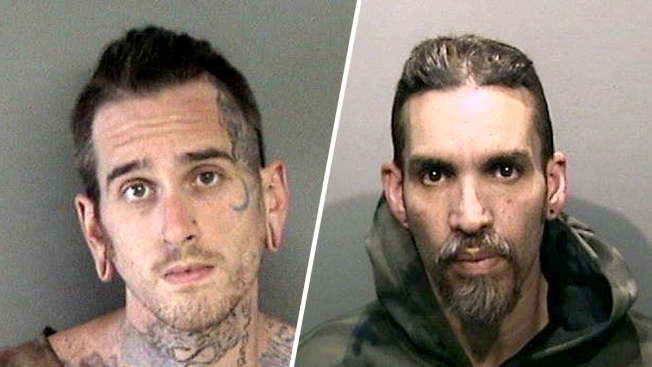 An Alameda County Superior Court judge granted an unusual motion Tuesday to allow the use of public money to cover the cost of defending Max Harris, who stands accused of 36 counts of involuntary manslaughter in connection with the 2016 Ghost Ship fire in Oakland. "It's unusual, but under extreme circumstances the law does allow for it," Harris' lead attorney Curtis Briggs said of the ruling by Judge James Cramer. Briggs will be reimbursed at a rate of $115 per hour out of county funds through the Criminal Court Appointed Attorneys Program, which is in place to provide effective legal counsel for indigent defendants. "It's probably less than a third of my hourly rate," Briggs said. "But it will sustain us through the next six months." He hopes to be in trial for the case by that time. The arrangement will only cover the cost of a single attorney, since Cramer said there was "no legal justification" to pay for more than one. It will not be retroactive, and Briggs said his firm has already invested roughly 800 billable hours in the case on a pro-bono basis. He called that an "investment in a person who's innocent." "We made that investment happily, and we made it as long as we could," Briggs said. "But now we need assistance from the court and that's what we got." Last month following a preliminary hearing, Harris and Ghost Ship master tenant Derick Almena, 47, were ordered to stand trial on the 36 counts of involuntary manslaughter for their role in the deadly fire at the warehouse at 1305 31st Ave. on Dec. 2, 2016. Almena's lead attorney Tony Serra, who is representing Almena pro bono, said Monday he wouldn't be seeking public funds for his client's defense. The defense attorneys have alleged that investigators from the Oakland Fire Department and the federal Bureau of Alcohol, Tobacco, Firearms and Explosives were never able to conclusively determine the cause of the fire, and that Oakland fire officials knew about the conditions at the warehouse but didn't take action. Harris and Almena face up to 39 years in prison if convicted, and each remains in custody in lieu of $750,000 bail.